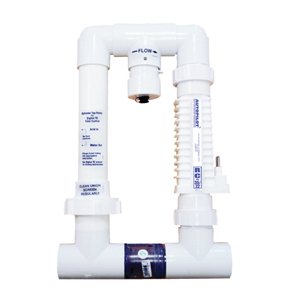 This patented bypass manifold includes the RC-35/22 cell, tri-sensor and check valve. For pools up to 35,000 gallons. For pools up to 22,000 when used with the Digital Nano or AG power supply.